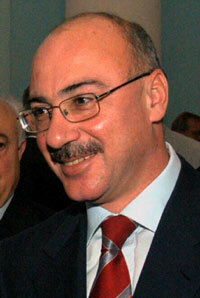 Arkady Ghukasian succeeded Robert Kocharian as president of Karabakh. After surviving an assassination attempt near the beginning of his first term, Ghukasian was resoundingly re-elected in 2002. Do you think (Azerbaijan president) Ilham Aliyev is more or less inclined to the Karabakh conflict settlement than his father? The political behavior of Ilham Aliyev, after he became president, shows that he is not going to be seriously engaged in the Karabakh conflict settlement. There is only one scenario of the conflict settlement for Ilham Aliyev, as well as for his father – back to the situation in 1988. Heidar Aliyev was deliberately refusing all the conflict settlement plans offered by international mediators then. His son is quite likely to follow in his father’s footsteps. How can one otherwise assess Ilham Aliyev’s statements that Azerbaijan is no longer going to take account of the current, existing situation and that the process should be launched anew. Though, by elementary logic, it is necessary to take into consideration all the previously achieved positive results when restarting a negotiation process. To what extent is the Karabakh conflict settlement probable this year? Since Ilham Aliyev, as I mentioned, does not intend to be seriously engaged in the settlement, it is hardly possible that the problem of Nagorno Karabakh will find its solution this year. The newly elected Azerbaijani president will rather focus on his self-confirmation in both the Azerbaijani society and the international arena. Thereby, he will lay the burden of the conflict settlement on the co-chairs of the OSCE Minsk Group. Do you think it would be easier to achieve the conflict settlement if the negotiations were between Stepanakert and Baku? In any case, negotiations between Stepanakert and Baku are more preferable than between Baku and Yerevan. In fact, the meetings between the presidents of Armenia and Azerbaijan can’t be considered negotiations because, first of all, they are very rare and, secondly, the presidents of these countries are unable to discuss the subtle details of the settlement. It is usually done at a lower level. Presidents’ meetings are usually for summing up the negotiations or to indicate the main directions of an upcoming laborious work at the level of experts and relevant officials. As for the immediate dialogue between Baku and Stepanakert, it would certainly help build bridges of trust between the main conflicting sides, i.e. Azerbaijan and us. Will Karabakh’s authorities put a suggested settlement to referendum as Kocharian said he would in Armenia? Nagorno Karabakh has already held its referendum. Based on the results of this referendum, we declared the independent Nagorno Karabakh Republic. As far as the leadership of Karabakh is concerned, it builds all political activities proceeding from the choice of the Karabakh people, and we will never turn aside. What are the elements of a decision acceptable for the Karabakh people? The position of Karabakh is common knowledge and has undergone no changes. We declared our independence, and that’s why we can speak only about settling the relations between Nagorno Karabakh and Azerbaijan. Karabakh under the jurisdiction of Azerbaijan is out of the question. We cannot allow any return of Karabakh to the former enclave existence. Experience showed that such a status directly threatens the security of the NKR, as well as the physical existence of its population. We are ready to discuss all issues concerning Karabakh-Azerbaijani relations around the table of negotiations. Are the latest suggestions of the OSCE Minsk group co-chairs close to satisfying your requirements? If by that you mean their suggestions in 1997, which pushed forward the concept of a “common state,” then the Karabakh side, as it is known, accepted them as a basis for restarting negotiations. And, frankly speaking, they couldn’t satisfy us. However, in spite of this, Azerbaijan turned them down at once. No other suggestions have since been submitted from the mediators. It’s true that later, in 2001, the so-called Paris and Key West agreements appeared, which Baku, by the way, refused. However, those agreements were reached without our participation within the framework of the Azerbaijani and Armenian presidents' meetings. If the mediators present any new suggestions, I am afraid they will not substantially differ from the previous ones, because the co-chairs, as they put it, have suggested all that could be suggested.